This one is the bipolar. Mean spirited or funny -- either way it looks yummy. 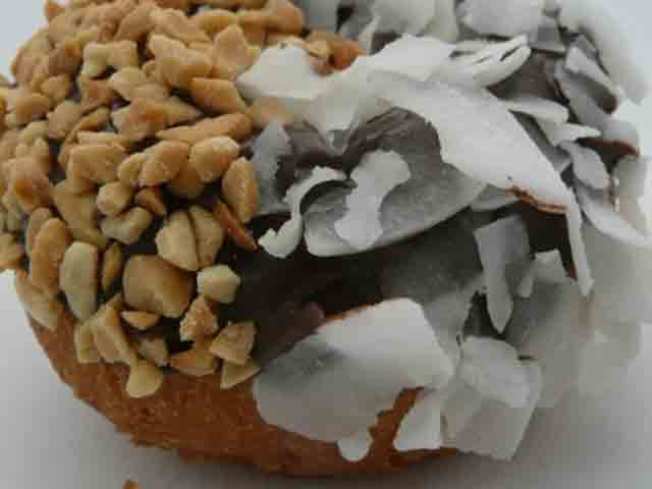 Mental health advocates are still going a bit crazy over a donut shop in the South Bay. They don't see anything funny about its celebration of all things nutty. Yes, Campbell's Psycho Donuts is back in the news with another planned march down the streets of Campbell this weekend. Psycho Donut owners admit they are making fun of all things crazy, but don't see anything wrong with it. The shop is equipped with a padded booth, a straight jacket and a group therapy area. 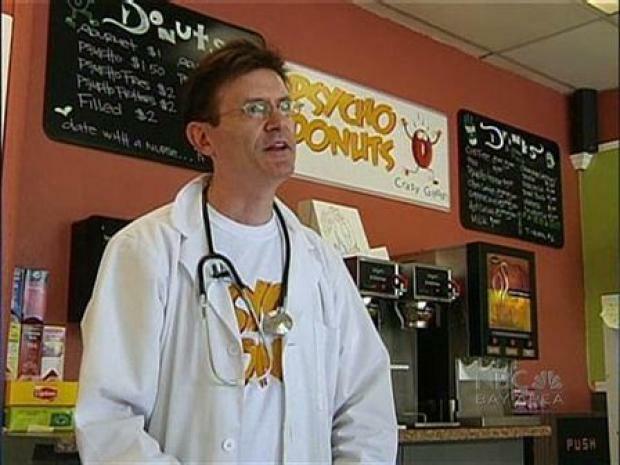 Donut specialties include the "bipolar," the "psycho" and "massive head trauma," and employees wear lab coats or nursing outfits. The Bay Area chapter of the "National Alliance for Mental Illness" is not buying it. Mental health activist Juliene Larsen, said the shop and its supporters, "act as if it is all right for society to accept a Beavis and Butthead mentality in real life." Larsen, who works with Community Alliance United to Seek Equality (CAUSE), said the idea hurts those who have suffered because of the stigma of being diagnosed with an illness that leaves most people in shame. Apparently its not the sugar from the donuts getting to people's head but instead its the name of the donuts that some say is insensitive. If you side with Larsen, you can join the CAUSE march Sunday morning at 11 a.m. at the corner of Civic Center Drive and North Central Avenue. If you side with the donut shop it is just across the street in a strip mall on Campbell Avenue.